The Trawler Beach House: Finding A Winter Home. Our friend that lives in Fernandina was kind enough to drop off a vehicle for us to use. This makes shopping and visiting much easier. It also made it possible for us to drive to the west coast of Florida and pick up our car from storage at Susan's sister's place. 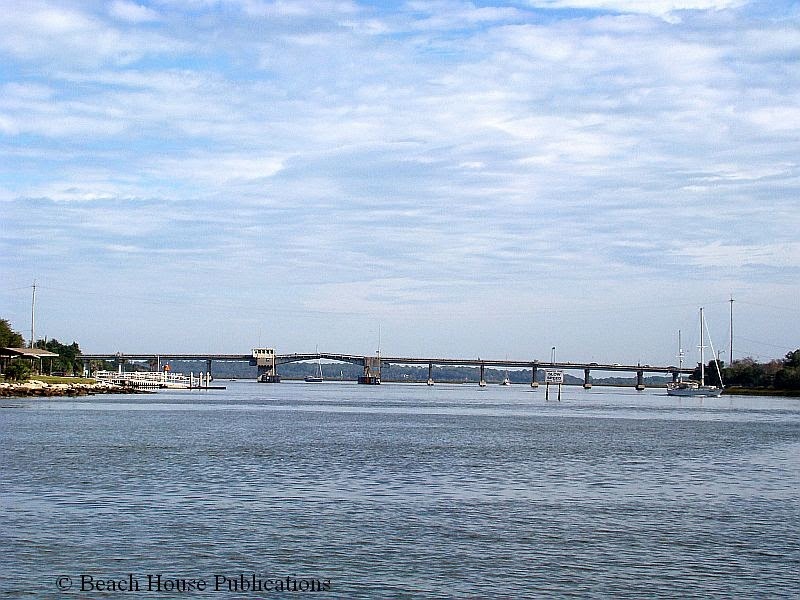 Our plans were to spend the winter on the St. Johns River while we finished our new Chesapeake Bay anchorage book. We still had not yet decided on a base of operations. Once we drove over and picked up the car, we cruised the marinas that might work to try and decide where we would like to stay. Our first choice turned out to be too exposed to the river with a long fetch when winds were from the north. On the day we visited, wind waves were breaking over some of the boats at the docks. The docks were also in pretty poor condition. 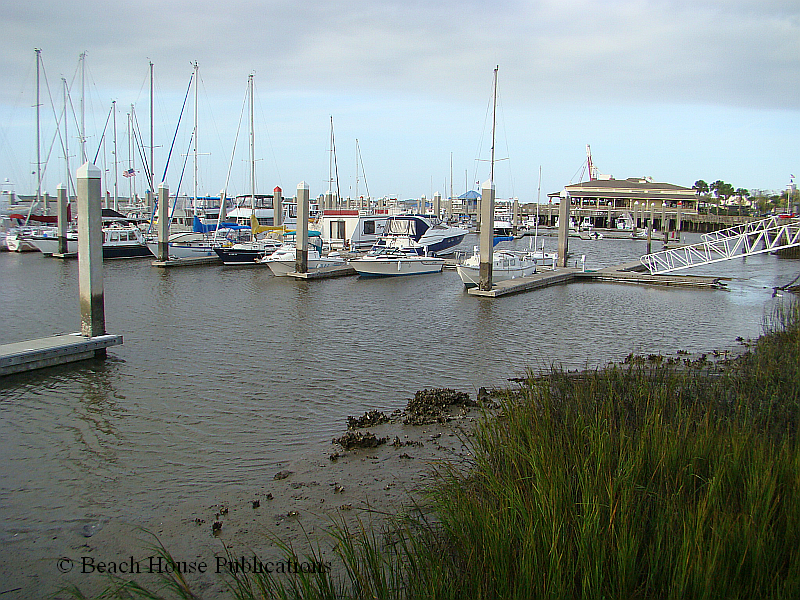 Another 25 minutes away was a great little marina called Acosta Creek Harbor in Satsuma. As soon as we drove on to the property, we knew this would be the best choice for a base to finish the book and prepare the boat for the next part of our adventure. After 12 months and a few thousand miles of cruising, it was time to stop for a while and catch up on repairs and maintenance, and just rest. After talking with the owners, we left our car at the marina so it would be there when we arrived, and drove back to Fernandina in our friend's car. 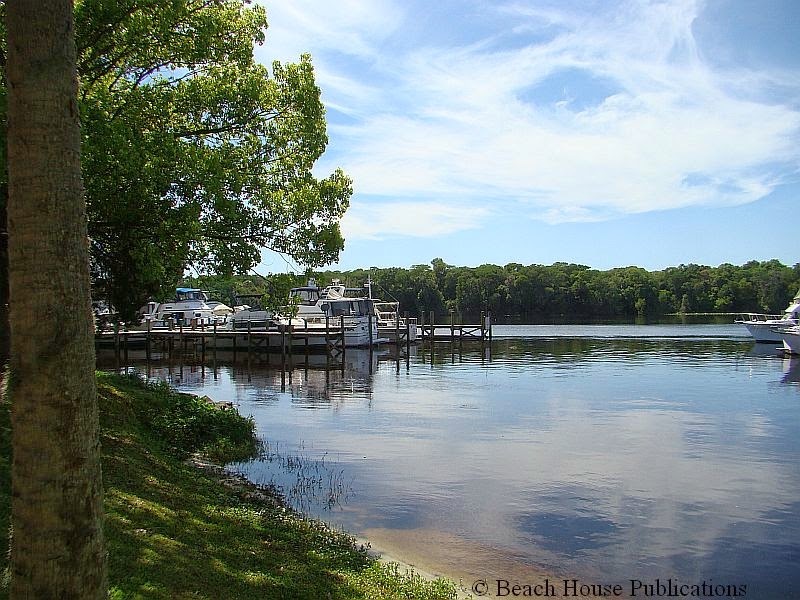 Fernandina Beach is another of those waterfront towns that we love. It's very boater friendly and, except for groceries and supplies, the downtown area just outside the marina gives you lots to keep you fat and happy. The beautiful, tree-lined streets are full of gift shops, great restaurants, taverns for social activities and many historic homes to explore. I can't think of a transit on the ICW that we have made that didn't include a stop in Fernandina Beach. With access to a vehicle, we could drive over and walk on the miles of ocean beach, visit Fort Clinch, visit our friends and do lots of provisioning. Car rentals are easily available if you don't have friends that live nearby. And often, liveaboards at the marina will offer rides to the grocery or to find supplies or parts. Once again, the weather forecasters didn't get it right and the heavy winds that were expected for a few days lasted over a week. With all of the other errands we needed to do, our one-week stay turned into three weeks. This was the longest stay we have had in one place since Bimini in the Bahamas. After three weeks, the crew starts to get antsy and the need to get underway is strong. On the day we departed, the weather was still not ideal by Florida standards. The winds had finally dropped, but the day was cool with a dense overcast. These are the kind of days best spent steering from the comfort of the lower helm in the main cabin. We had a couple of issues that had to be considered on this leg of the trip. 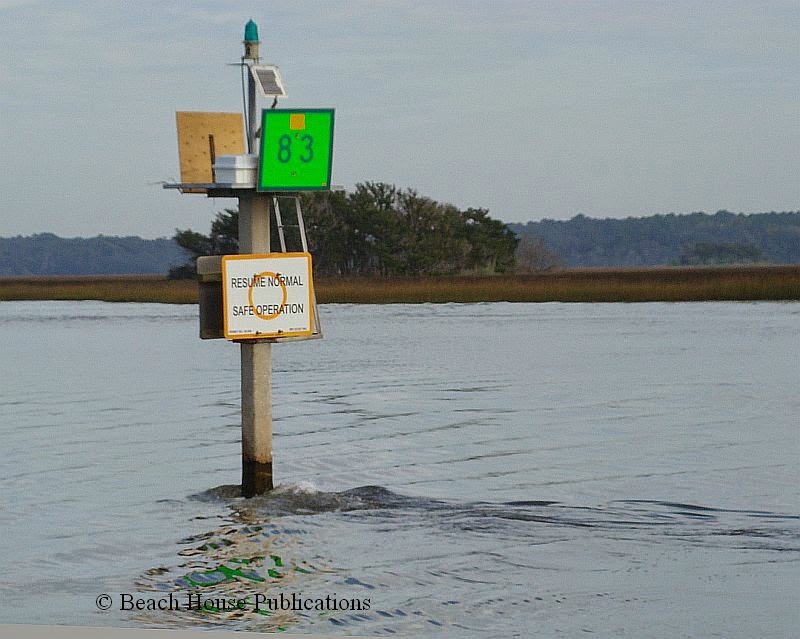 The currents along the ICW in this area are quite strong and can affect transit times. The tides help with some of the shoal areas south of Fernandina. The transit up the St. Johns River would be considerably faster if the timing allowed for utilizing the incoming tide instead of fighting the outgoing flow. Our plan was to travel down to the free dock on the ICW just north of the Sisters Creek Bridge (page 61, TGBOA Hamptons Roads/Norfolk to Florida Keys). The plan was to wait until the tides changed on the St. Johns River. As with all of our plans, they're written in the sand at low tide. Another factor that needed to be considered was a limited schedule for the FEC Railroad Bridge at downtown Jacksonville that only opened three times a day. As Beach House approached the Sisters Creek Bridge, the crew decided that if we waited, the only bridge opening that would work would be the opening after dark. Messing around on the river after dark was not something that excited us, so we decided to press on, try and make the afternoon opening and just deal with the currents. By 11:00 a.m., Beach House passed under Sisters Creek Bridge and made the turn to head up the St. Johns River. The outgoing tides put about a 2-knot current against us. Slow, but tolerable. As we arrived in the downtown Jacksonville area, a hail to the FEC Railroad Bridge confirmed that they would open at 1:00 p.m. We arrived about 20 minutes before 1:00 and the bridge surprisingly opened 10 minutes early. The timing couldn't have been better and our decision to press on turned out to be the right one. At 4:00 p.m., the anchor was down in Doctors Lake off of the St. Johns and the crew settled in for the first night at anchor in few weeks. It was a quiet, peaceful evening with very little boat traffic. Surprise, surprise, heavy fog once again the next morning. I'm not sure what else I expected given the fog we encountered for the past week. 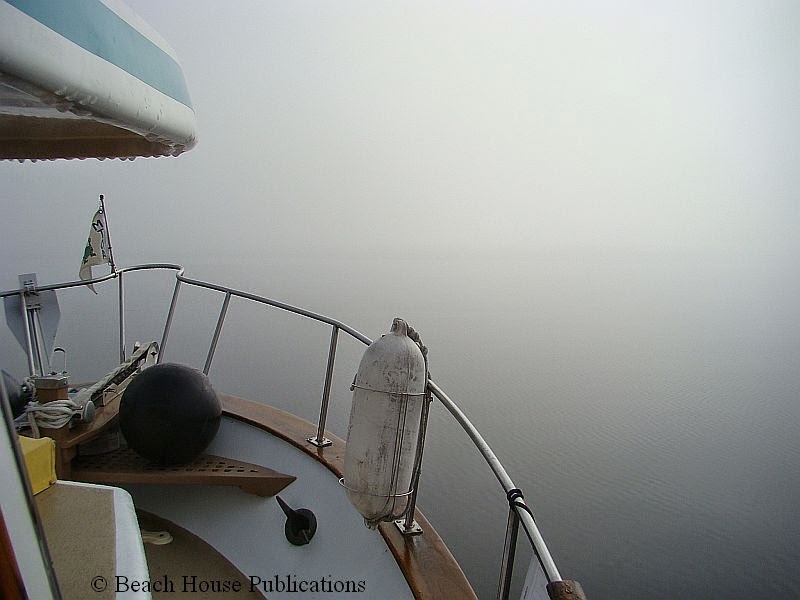 It was after 10:00 a.m. before the visibility cleared enough to pull up the anchor and get underway. A two- to three-hour delay meant we would either get to our destination late or we would need to make an intermittent stop along the way. 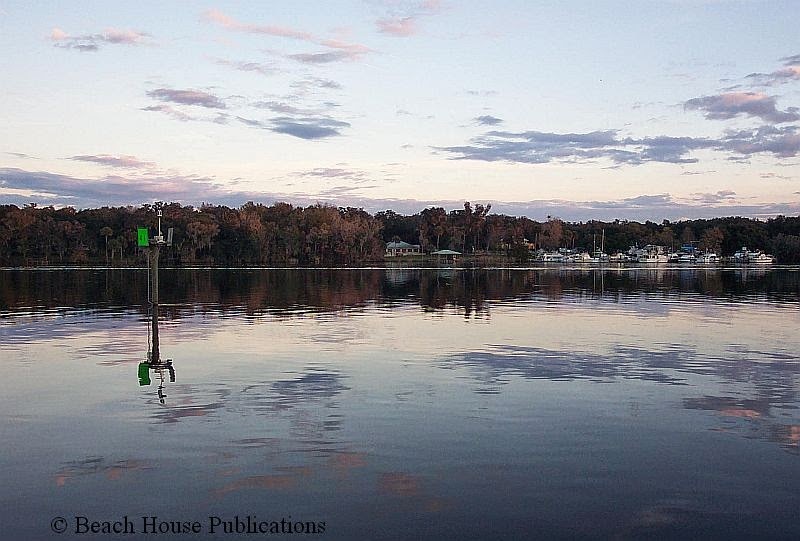 A cruise down the St. Johns River is a wonderful experience. There is very little boat traffic, the river is very wide in some places, and the scenery is spectacular. The experience gives a boater a good idea of what it was like cruising in Florida long before condo development and crowded waterways made the trip a bit more stressful. 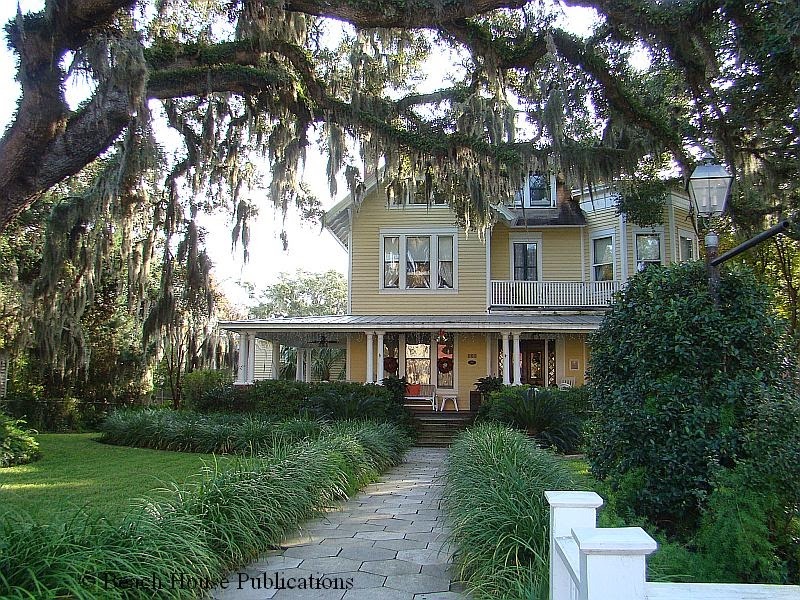 Tree-lined banks with pine and cypress, Spanish moss and creeks and canals around every corner provide a true "old Florida" experience. The farther down river we traveled, the more we realized this was a good choice of a place for us to spend the winter if we had to sit and work for a while. En route, we took some time to drive through some of the anchorages in our book to recheck depths, etc. It was 5:30 in the evening by the time we arrived at Acosta Creek Harbor. The sun was already setting at this time of year. We were happy to see the Dockmaster and owner, Jay, on the dock ready to assist with lines. About a half dozen others from boats on the dock jumped in to give a hand. We mistakenly thought there would be little current in the river this far south. Trying to back into the slip quickly corrected our perception. After a couple of tries, Beach House finally settled into her new winter home. Everyone we met that first day, and each day after, proved to be warm and friendly. Once again, we knew we had made the right choice and would really enjoy our time at the marina. The fact that our car was sitting waiting for us took a lot of the pressure off, too. Now the hard work would begin. What do mean Winter?? It's Spring-- Isn't it ? ?